Hill Street at 21st Avenue shortly after noon on Tuesday, looking north. 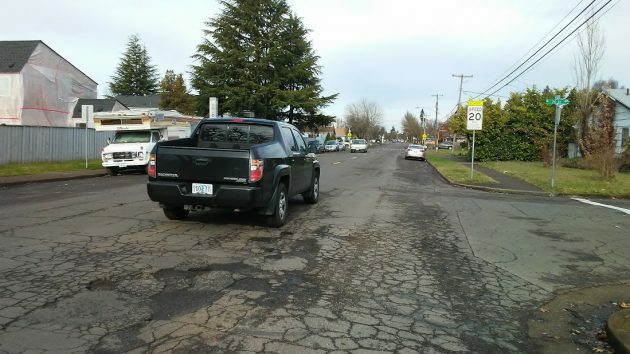 On Facebook and in real life, people in South Albany have been clamoring for the city to fix up the rough pavement on Hill Street, or wondering when this would finally be done. The answer is pretty soon, namely this year and probably next. I checked with Jeff Blaine, who oversees public works engineering as well as community development for the city. “Hill Street (from) Queen to 24th is currently in design and should go to bid within the next month,” he told me by email. The city’s Capital Improvement Plan lists the street cost of this segment as $2.7 million, to be paid from capital funds and systems development charges. Sewer work to be done at the same time will bring the total estimated cost of this segment to $4.5 million. Blaine says, though, that construction costs have risen over the last year or so and the original estimates in the capital plan may be outdated. The city will have a new estimate before the project is put out to bid. There won’t be anything like a local improvement district, so property owners don’t have to worry about being on the hook. The plan has a cost estimate of nearly $3.5 million for the segment from 24th to 34th, not including water line work also to be done. Pavement on Hill Street near 31st Avenue. It might be interesting if someone did a bit of digging, too find out just how long it has been since that particular road was new. The fact they didn’t say could simply mean whomever commented didn’t know. Or, our could mean it’s been a long freaking time, indeed. 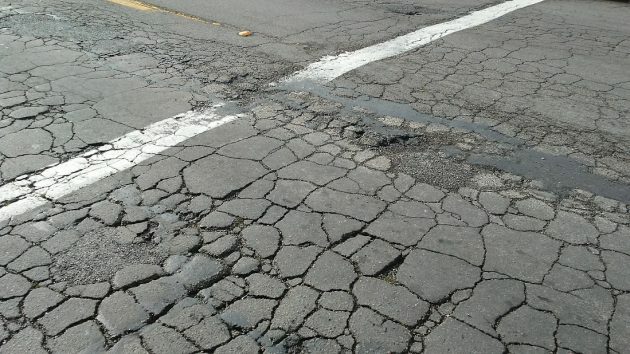 Stupid question, but instead of widening and “improving” Hill, why not just repave? Then take all the money saved, and pave a bunch of other streets that also desperately need to be paved. Well done. I’ve lived off hill on 21st for almost 2 years and its really played hell on my cars suspension. When we first moved in I replaced my sway bar connecting rods, now almost 2 years later I think I’m going to have to replace/ tighten everything up again. I was just noticing the rattle start to come back. I don’t remember construction on Hill. I’m in 50s and have lived here almost all my life. If dad were still around he would probably know.